Great review Christy. I really enjoyed Hannah's other story Saving June so I'm eager to read this one. Glad you enjoyed it. Christy, you should read SAVING JUNE. It's also by Harrington and it absolutely blew me away, and stripped me raw! 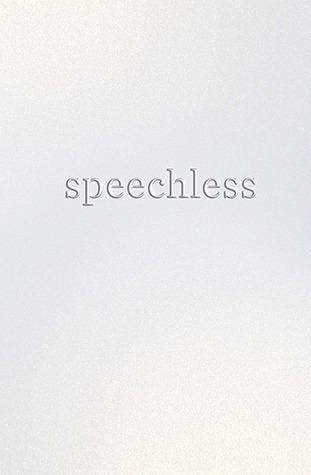 I've got to get on SPEECHLESS before my e-arc expires because I SO want to read it. I had that same fear about Chelsea, so I'm really glad to hear that you did like her! I really liked it, but I loved Saving June more. I had a hrs time connecting with Charlotte, even thought The author did a great job capturing her! Oh, cool! I can't wait to read this one because I know it's a story that my students will love and totally relate to. I just started at a new high school and am amazed at how many stereotypes continue to exist to this day and age. I read and really enjoyed Saving June and based on this review I need to read Speechless. I am intrigued by anyone that would take a vow of silence, and even more impressed when they follow through. It sounds like a touching story with some great characters. Awesome review!